The Carbon Fiber Boom Pole for VR Camera (Small) from Manfrotto provides rigid, lightweight support for your virtual reality camera weighing up to 4.4 pounds. This versatile, 4-section pole reduces vibrations, and extends from 1' to 2.6', enabling you to shoot above your surroundings. Rubber-gripped anti-twist locks fasten quickly and firmly, preventing unintended slips. 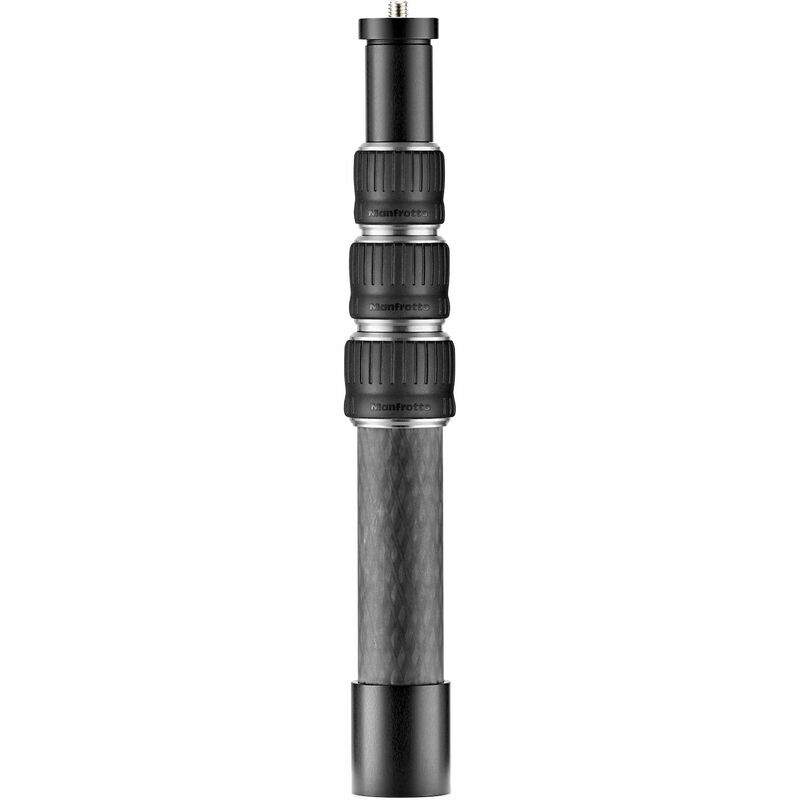 For increased camera compatibility, the VR Camera Boom Pole features an interchangeable mount with 3/8"-16 and 1/4"-20 screws as well as a 1/4"-20 female thread. 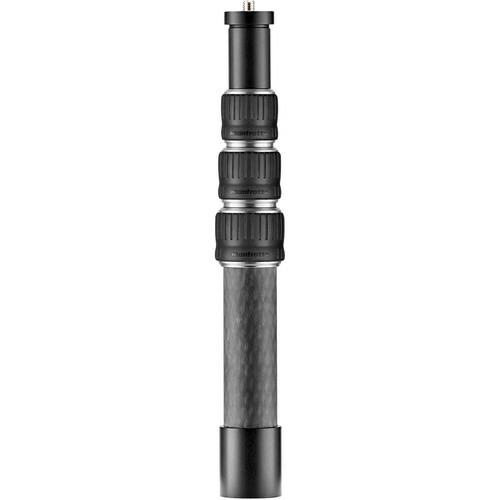 The 1/4"-20 thread enables you to mount the pole to a tripod or other support, increasing your camera position options. Box Dimensions (LxWxH) 17.6 x 3.6 x 3.0"
What is the pole bottom thread, 1/4 or 3/8?